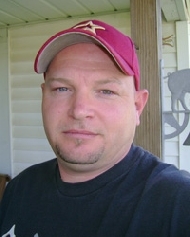 Heath Alan Morris obituary. Carnes Funeral Home. Jun 17, 2012 The Carnes Funeral Home Staff offers our sincerest condolences to the entire Morris family. It was our honor to serve your family. Heath Alan Morris was born November 5, 1971 in Houston, Texas. He passed away April 19th 2011 at the age of 39 years old in Galveston Texas. Heath is survived by his wife, Jeannie Morris and children Tyler and Jessica; mother, Judith Sullivan and husband Jerry Sullivan; Father, Robert W. Morris; sister, Danielle Morris; sister, Tracie Brown and husband Robert Brown; brother, Chris Sullivan and wife Annie Sullivan. Children, Zander and Karly Morris, and Mackayla Morris; Many aunts, uncles, cousins, nieces, nephews, and many beloved friends. Heath was a lifelong resident of Texas City, TX. He was a member of Baypoint Community Church in Texas City. Heath enjoyed fishing, softball, camping, Texas Long Horn football, and loved spending time with family and friends. Heath is preceded in death by his late wife, Monika Montez Morris and lifelong best friend Adam Pascal.